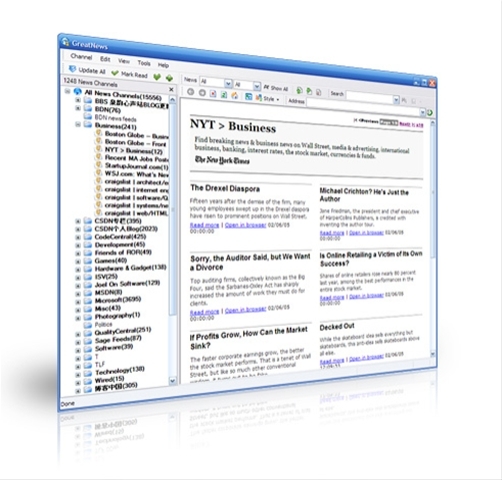 Choosing the perfect RSS reader. I have been an avid user of RSS Bandit for the past few years and have enjoyed using it. Recently however I had a real issue installing the latest update. I’m pretty sure it’s a flakey issue with the installer and I can easily download the source code and build my own local copy but I thought I’d take the opportunity to look around at the other options curently available. There are certainly a lot of different readers out there and I punted for a copy of GreatNews this is an interesting reader with some different options and a great layout style that makes browsing through the feeds in a category very much like reading a newspaper. It’s easy to skim through the feeds and pick out what’s interesting to you. There are different presentation styles available for the reader pane and you can filter the reader pane so you don’t get a lot of old read feeds if you just want to read the latest stuff. Great News is very flat in this respect. It does have some nice features though and I’ve decided, despite loyal service from RSS Bandit for a good few years now to give Great news a go and see how I get on. 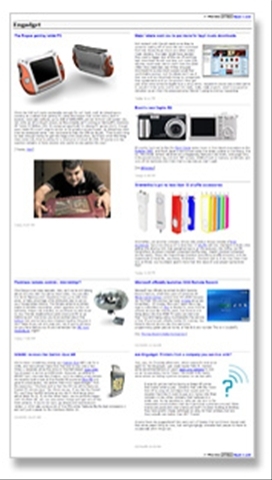 This entry was posted on March 14, 2007 at 9:46 am and is filed under Ajax Links. You can follow any responses to this entry through the RSS 2.0 feed. You can leave a response, or trackback from your own site.